The table and chairs have been wiped down, the book display has been refreshed, the tote bags hauled back out to their stations - even the bulletin board is renewed! 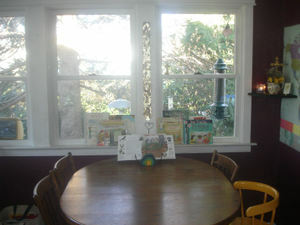 Sorry for all the glare - this room is full of windows and gets a lot of light! 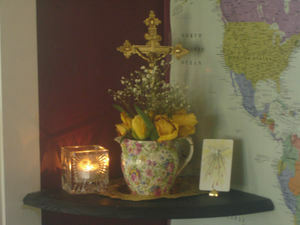 Our prayer corner has some leftover Easter roses, our crucifix, a candle and a holy card. This coming Sunday's gospel theme is peace, and we will be discussing the dove, as a symbol of both peace and the Holy Spirit. 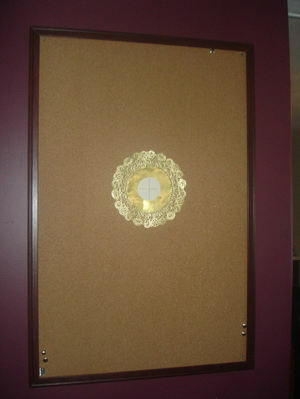 Our weekly bulletin board has just one item so far, a representation of April's devotion, The Blessed Sacrament. This will tie in nicely with our final preparations for CJ's First Holy Communion. (The craft is a small construction paper circle with a red cross drawn on it, set against a golden doiley.) I will fill in the rest of the board later today. Story of the World 2: Chapter 26 "France and England at War"
Read, narrate and answer review questions. 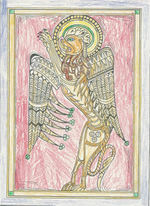 Make a holy card from an online image, preferably something medieval. I might preview this movie from the library. Check out Monticello website on Friday, Thomas Jefferson's birthday. Watch PBS documentary on plight of ocean animals. Discuss environmental messages in Happy Feet. 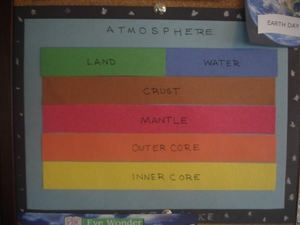 What is the earth crust made up of? What happens under the earth - by nature and man? Watch road construction on our street (how timely!). 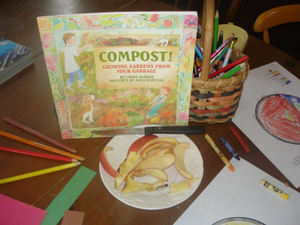 Check on our compost pile; read about composting. Look for deer tracks in mud behind fence. Thursday Tea: Peace be with You! Review sign of peace protocol - practice at dinner as a family. Use this coloring book for special April project. Off to get started, now ... enjoy this beautiful spring day, everyone! Today is National Agriculture Day! It would be a fine day to visit our local farm and check in on the animals we have not seen in so many months ~ except that it's only 21 degrees! We could make a quick trip to the market and look for locally grown or raised products. I've been meaning to ask the store manager about this ~ supporting our local farms is ever more important these days! Or, we may just stay in out of the cold and explore farm life at home! 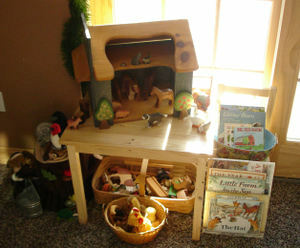 We've always wanted to have a little pocket farm, and even though our yard is not nearly big enough for even "pocket" status, we can pretend ... how fun would it be to brainstorm a name for an imaginary farm? Have you ever done that with your children? Even sketched out on paper what you would grow and raise? We can talk about what farmers do in the early spring. Well, we just learned about how they tap their sugar maples. (Notice our tree above has a small tin bucket hanging from a limb.) They also start seedlings indoors (we can do that) and repair machinery (we've got some toy tractors around here, including a large antique tractor my grandfather painted for Bookworm when he was just a wee one). Lambing is just around the corner, too. Time to start thinking about wool crafts, perhaps? We can also talk about what we eat today. How many things came from the farm? It would be a fun and educational activity to brainstorm all the things we use in our everyday life - food, wool, candles, honey - that come from our national farms! Do you know what agricultural products are produced in your state? Finally, I put up an old photo album from last year's first farm trip of the season! It was fun to look through it and see how the boys have grown (and my hair, lol!). Have a grand day, my friends ... and Happy First Day of Spring! I also use my month-at-a-glance calendar to keep track of when we are out of the house and when we are home, as well as what special events/feasts we are celebrating. If I have my folder, my calendar and my journal on my counter at all times, along with a well-sharpened pencil, I feel some semblance of control over our week (however imaginary it might be, lol!). Speaking of calendars, just this past weekend I had a bit of a calendar epiphany. I realized I was trying to keep too many calendars up and running! I have now commited to just one 14-month-at-a-glance, spiral-bound, lie-flat, portable, not-at-all-fancy-but-suits-my-needs kind of calendar. I've been filling it in with colored pencils (liturgcally speaking) and I am feeling "ok" about it. It's not all that pretty, but it is practical - more on that later. Of note: Speech therapy, CCD, Heritage Day-Bake Sale with homeschool group, van going into shop, Homeschool Book Group, co-op meeting here *or* at Valentine-making workshop, feast days (St. Brigid, Candlemas, St. Blaise), spring soccer sign-ups, February begins! Note: This is an unusually busy week for us. I am of the mind that to home educate you actually have to be home. But sometimes activities pile into one week, and we balance our lessons out over the following weeks. We try to do math first thing in the morning. BW is quite independent while CJ needs me to work with him. EB joins us at the table to draw numbers and shapes, or work in his LFNP; sometimes I have BW help CJ if I get busy with EB. Bookworm works in LM twice a week, but CJ works in LOGA every day. Bookworm is practicing cursive writing, something we kind of glossed over these past few years. This year he really likes it and it's clicking. Crackerjack is improving his printing. His capital letters are great; his lower case letters need some work. Bookworm is always reading at least one novel. This week it is St. Thomas Aquinas and The Preaching Beggars, as well as Artemis Fowl: The Lost Colony (for Book Group). Crackerjack and I read all kinds of books aloud - picture and chapter variety. This week we are reading Mr. Popper's Penguins (for Book Group) and Days of the Blackbird. 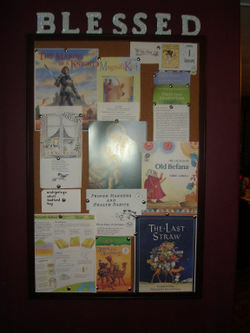 Do you know the Tomie dePaola book mentioned above? It is an Italian folktale based on the "coldest days of the year" - January 29-30-31. We'll be reading it this week, in conjunction with our bake sale for a local oil heat fund. EB is working on sitting longer for read-alouds and giving narrations as best he can. He loves to draw letters (and trains). History: Begin Crusades unit: Read and review SOTW Chapter 18: "The Age of the Crusades," do mapwork, Begin "History of the Sword" notebook (using Coloring Book by the same name). We do history M-W-F for the most part. This is not a hard and fast rule by any means. For example, the History of the Sword coloring book arrived in the mail today and Crackerjack is insisting we begin our notebook tomorrow! We generally try to cover one chapter of SOTW a week, doing the review questions, mapwork and some of the activities. I also try to choose some of the suggested literature from the library. Some chapters, such as this current one, take longer to cover. I would like to take a look at how the custom of praying the Stations of the Cross began during pilgrimages at this time to the Holy Land. We'll make our own Pilgrim's badges (quick craft from SOTW). In light of Candlemas on Friday, we will talk about fire in medieval society - how was it used? What was its importance? Look through A Street through Time, and other visual books about medieval life for examples of fire. Begin Sword notebooks, as mentioned above. Plan trip to armory museum; look back at castle trip photos. Use tiny "party swords" for cupcakes on Friday; connect with Simeon's words to Mary. Nature Study: Continue observations. Read chapter 5 , "Woodpeckers" in The Beginning Naturalist. Saturday walk with Daddy - look for "woodpecker trees." 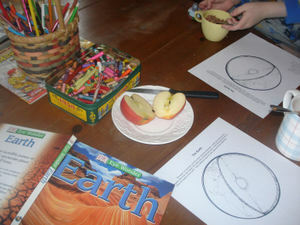 Nature study is ongoing, but we try to do some kind of formal reading or discussing or notebooking on Mondays. We are reading one chapter a week in The Beginning Naturalist; the chapters tie in to the seasons. 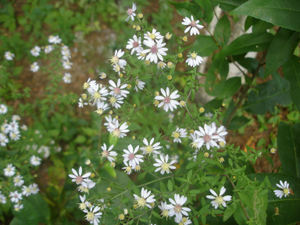 It is such a busy week, I don't expect to do so much nature study. We did spend quite a bit of time watching the windows for woodpeckers (and saw three within an hour). We found a neat birdfeeder project in The Backyard Bird Feeder's Bible; we will ask Daddy to oversee the planning and construction. I would like to try to find snowdrops ("Candlemas Bells") at a local nursery, or order them online. At the very least, I want to find information on growing them (they may be a bulb that needs to be planted in the fall). Science: Explore the element of fire (within reason, of course). Read about heat and light in various science books we own. I try to schedule any science lessons on Tuesdays and Thursdays. Read current Ranger Rick (BW), Big Backyard (CJ) and Zootles (EB). 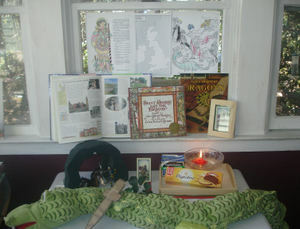 Religion: Catholic Mosaic (Brigid's Cloak), CatholicMom.com's Mass worksheets, CCD books - go over current chapters (attend CJ's class), celebrate feasts of the week, liturgical tea on Thursday (Irish theme), one chapter from A Life of Our Lord for Children, CJ and BW choose new prayers to learn this week. Our history lessons this week on the Crusades are offering us many opportunities to discuss our beliefs and religion. At our Thursday tea in honor of St. Brigid, we'll serve Irish cheddar, Irish decaf., and Brigid's Bread. Following CM suggestions, we'll make a page for our family faith notebook using blue paper, star stickers and a printed image of St. Brigid. 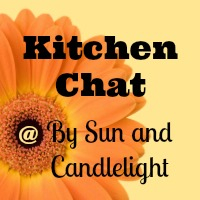 For Candlemas on Friday, we'll choose some of the activities I mentioned in this post. By Thursday we will begin preparing for Mass by reading Sunday's Gospel in Magnifikid. (Luke 5:1-11) Discuss meaning of phrase "catchers of men." 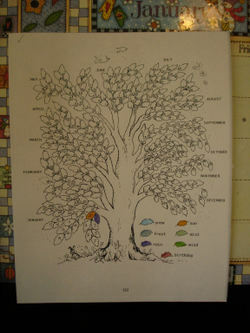 The boys will do this coloring page, as I read aloud. Bookworm's patron saint is St. Thomas Aquinas - his feast day was yesterday. He is reading the Vision book as previously mentioned, and making a frame for his holy card. Music: Listen to The Kids Classical Hour on radio, Saturday morning. Art: Put up new art print on February 1st, The Return of the Prodigal Son by Rembrandt (We use CHC's Art Masterpieces: A Liturgical Collection). Remember - this is a wish list! It looks like a lot, but we only do what we can every day. We strive to do math, language and religion each day. History and science at least twice a week, and art and music if we can. I was going to post about our weekly household routine (i.e. bedrooms on Monday, bathrooms on Tuesday - that kind of thing) but once again, this post has gotten very long and I am running out of steam. So I will try to post more soon! Certainly, I would never be able to incorporate all these activities into one feast day! But I do love to research liturgical ideas - I find it fascinating and the more ideas to choose from, the more interesting our celebration will be! 2. And a thread from last year at 4Real is full of excellent ideas. 3. Read from the Gospel of Luke 2:22-40, about the Presentation of Our Lord. Reflect on it as the fourth Joyful Mystery of the Rosary, and read this story in our Children's Bible as well. 4. 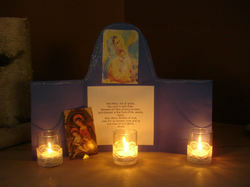 Follow directions in Art 1 for Young Catholics to make a shadowbox production of the Presentation, using a candle and shoe box. 6. And ask Father to bless our candles for us. 7. Learn about fire (heat, light) this week for science (as an element of earth) and history (how medieval society used fire). 9. Read The Story of the Snow Children and enjoy the beautiful illustrations ~ each page is bordered with snowdrops - use them to sketch! Read "The Song of the Snowdrop Fairy" in The Flower Fairies of Winter. 10. Maybeee make a tiny snowdrop fairy doll for the nature table (again, waiting on that package!) with white and green woolen felt. Winter will not come again." 13. Enter the above saying into our nature notebooks, along with the weather conditions of the day and the Groundhog's prediction! 14. Decorate pillar candles with dried flowers and herbs (found at craft stores) ~ apply them with melted beeswax. 15. According to longstanding tradition, it was customary for the lady of the house to check on the household candle supply today. We will do the same - the boys will help me tally what we have and we'll make up a list of what we need. 16. Discuss the saying "Candlemas - Candle-less." Note sunrise and sunset time in the nature calendar. 18. Sing songs about light, and particularly, Our Light ~ This Little Light of Mine, for example. 19. Make a toilet-paper tube candle with construction paper and an image of Jesus. This would be good to do with EB who is still very young for most candle crafts. 20. According to tradition, take down every last bit of Christmas greenery on this day. The blessings tree will be put away till next year. 21. Dine by candles only at night. Share with Daddy all that we did and learned. Whew - so many ideas - a few years' worth I'd say! Obviously too many to squeeze into one day. So I must ask myself, how do I want our Candlemas Day to unfold? Well, that is the next step in the process ... tune in on Friday to find out! And please stop by Suzanne's on Monday for the Loveliness of Candlemas Fair. I'm sure my list of ideas will be even longer after I do! These were for Crackerjack's CCD class. Last week CJ asked if I would ask if we could bring a snack this week. So I did, and the teachers said "Sure!" (Who says no to cookies?) Well, today, we rolled up our sleeves and baked up a batch! I took the recipe right off the Ghirardelli package, and boy, oh boy, were they good. 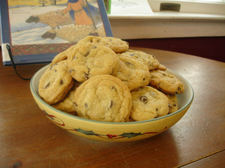 No nuts, no raisins, no oats - just straight up chocolate-chip. The kids loved them and CJ felt like a star. ~ We savored the snow. (It snowed! It snowed! It finally snowed!) 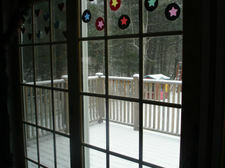 It was the pretty, light and easy kind of snow, too. We took a whole bunch of bird pictures - I'll be putting them up at The Nature Corner tomorrow (maybe tonight if I have time). ~ We read about Japanese Samurai in Story of the World Volume II (chapter 17). My boys just cannot get over the fact that these mighty warriors would dance before battle. (I think it was actually just one general the book was referring to, but the image stuck.) The poetry and the gardens they could grasp, but the dancing just had them in stitches. ~ We watched Castle again, because we just love it so. Even EB enjoys it. ~ We tried to start The Trumpeter of Krakow but the tape player died. ~ We tried to start the van but the battery died. (Or something worse; we'll have to wait to hear what the car guys have to say.) Missed speech, but borrowed Nana's car to get CJ to CCD. ~ We worked on an odd, but fun, writing assignment. It was National Answer Your Cat's Question Day (no I'm not kidding) yesterday. So what do you do on such a day? Well, if you have cats, as we do, you spend a few minutes staring them down, trying to determine what they are thinking. (Cats, if given the chance, could be the world's best poker players.) Then you spend a few more minutes coming up with a creative writing exercise in which you actually answer those questions. ~ We read about St. Vincent, a deacon in the early Church, whose feast day it was (yesterday). We read from Acts of the Apostles 6:1-7, as was suggested in Saints and Feast Days. We reviewed the seven sacraments. We popped a photocopy of the card into our family faith notebook. ~ We talked about relics after seeing, and being blessed by, one at church on Sunday. Below is our replica of the relic of St. Agnes. (The actual sacramental was much smaller than this.) 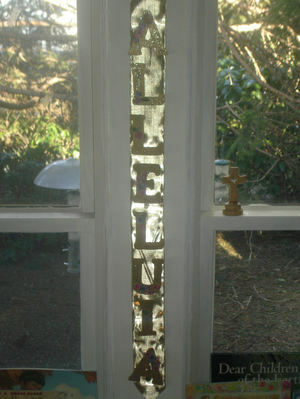 We read a bit about relics in Ann Ball's book and then made this project. We filed it in the notebook with a note about the experience. ~ We worked on penmanship a little extra hard today after discovering it is National Handwriting Day (and that would be because it is also John Hancock's birthday today, lol). For future reference, we will keep in mind a few wonderful posts about National Pie Day that really are all about pies! For now, Good night and God bless! We'll also pore over this beautiful page of bird poems and illustrations, with particular focus paid to "The Chickadee" by Emerson. Story of the World Volume II: Chapter 17, "Knights and Samurai"
Learn one geography term a day; review. *Plan polar unit study for next two months; research field trip to Harvard Museum of Natural History (polar exhibition). *Research field trip to the Orchard House in Concord. Monday's Health/Science section of the Globe. Request An Egg is Quiet from the library (thanks to Marjorie's suggestion). Linnea's Almanac; brainstorm a year's worth of seasonal joys. Read Magnifikid in advance of Sunday Mass. Make gingerbread stars for Epiphany. Blessing of the Home on Epiphany. Sorry this is a bit dark - it's so hard to capture candlelight. The paper craft was an idea from The Big Book of Catholic Customs and Traditions for Children's Faith Formation. The holy card is a beautiful gift from a beautiful friend - someone I cannot think of without feeling the mantle of Mary wrapped around me. :) The candles are just wrapped with some lace ribbon. (Side note - these would be a really pretty decoration for a First Communion. There was some less-feminine white ribbon I might use for CJ's party this May.) And if we have time, I aim to make cupcakes such as Alice's or Elizabeth's today or tomorrow. January selection from Art Masterpieces: A Liturgical Collection: Madonna with the Child (Botticelli). Listen to the Kids Classical Hour on Saturday morning. I have been enjoying the blog kept by our Cardinal Sean O'Malley, and in tonight's post he shares photos of several beautiful stained glass windows belonging to the Cathedral of the Holy Cross in Boston. At the Archdioscese's website I found a wonderful online tour of all the Cathedral's windows - including the stories behind them. "Mama, the whole church is lit up!" And indeed, it was, but by more than the windows. It was lit from within by happy faces, beautiful music, wonderful smells and blessed anticipation. A while ago I had an idea to begin a small notebook (or lapbook) about stained glass windows. Unfortunately we didn't get too far with it - but I am determined to revive this project again. It would be a perfect complement to our Middle Ages study this year. I would like to start off by taking a few extra minutes each week to look at the windows in our church. Sometimes we take their beauty for granted - just now at supper we tried to name as many as we could and it was a challenge! How nice it would be to linger a few minutes after Mass, to stop and admire one window a week and then learn more about the story behind it. Color: Dover Stained Glass Coloring Books. Craft: Rose Windows and How to Make Them. 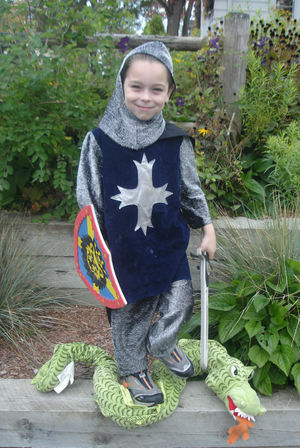 Read: Arthur and his Sword (perfect for the Middle Ages). Hang: a suncatcher sticker for Christmastime. 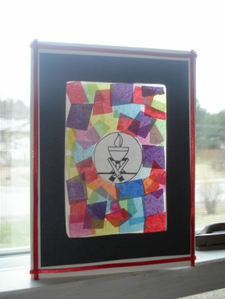 Make: stained glass candles and other tissue paper crafts. Learn: about the science of color and light. Visit: other windows in other churches. In the meantime, God bless and Good Night! 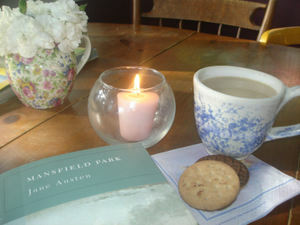 Tea and a Field Trip on Michaelmas! Usually we do "tea and a craft" on feast days ... and though we did have our tea, the craft part will have to wait for another time because today we whiled away the afternoon hours in a CASTLE! Your care for us is more than we can imagine, and your love touches us in so many ways. As once you sent your archangels Michael, Gabriel and Raphael to guide and protect your chosen ones, let them be our companions, to lead and watch over us. As we begin the season of autumn may we celebrate your presence in the beauty of nature, and be messengers of your love to all whom we meet. Bless this meal we now share, and bless all we do in Jesus' name ~ Amen. Now about that Michaelmas-blackberry connection. :) Well, legend has it that when the archangel Michael threw Lucifer out of heaven (on what would become Michaelmas), the devil landed in, of all places, a blackberry patch, where he promptly spat on the berries, rendering them inedible! So by long held tradition on Michaelmas you should eat your fill of blackberries before they're no good! This is a charming British custom, one I'm only too happy to incorporate into our feast day celebrating. Now if I had my way, I would take my blackberries in the form of Rebecca's Michaelmas Blackberry pie, but for today we kept things a bit simpler. 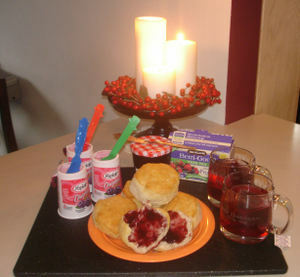 This was our Michaelmas breakfast ~ Blackberry Harvest Yoplait (a rare treat for my boys who generally only see Stonyfield Vanilla), biscuits with thick blackberry jam, and mugs of Bigelow Berri-Good herbal tea, sweetened with honey (this is really good iced, btw - and has plenty of vitamin C to boot). I have to share with you a lovely site from our autumn garden this morning. Remember a few days ago I mentioned that our Easter lily plant seemed on the verge of re-blooming, after spending the whole summer relegated to its pot, and left to its own devices parked by the front gate? Well, today it bloomed! 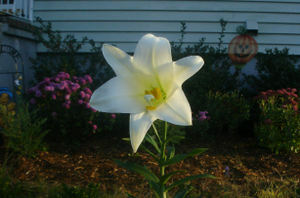 And this lily - the symbol of purity and the archangel Gabriel - looked just lovely against all the autumn blossoms. And so begins a most busy and festive autumn feast season! There are so many upcoming special days to enjoy ~ The Guardian Angels (10/2), St. Francis of Assisi (10/4), Our Lady of the Rosary (10/7), All Hallow's Eve (10/31), All Saints Day (11/1), All Souls Day (11/2), Martinmas (11/11), Thanksgiving (11/24) ... and at long last the beautiful Advent season beginning the most holy and beautiful time of year, as well as the new Church year. There are just so many wonderful opportunities to embrace our faith and celebrate our traditions - such a rich tapestry of colors, flavors, stories and prayers to be woven! As this day comes to a close, may I wish you all a most blessed Michaelmas and autumn season! 1. We made an autumn reading wreath. 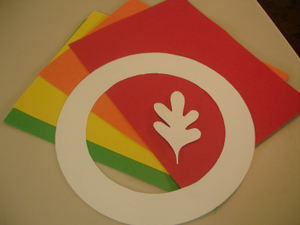 The white pieces are made out of posterboard, the circle being the wreath base and the leaf a template for the colorful construction paper leaves that will eventually fill in the entire wreath frame. When we read a book together (aloud) it will go on a yellow, orange, or green leaf. Crackerjack's favorite color is red, so leaves of that color will be used for books he has read himself. This is as far as we got. I will post a picture once we get it up and start adding leaves! 2. We learned about the Book of Kells. We read in our history spine about how medieval monks helped to return Christianity and literacy to barbarian Europe. (Remember, we covered barbarians last week?) The Book of Kells is an example of an illuminated manuscript scribed by several Irish monks somewhere around the 8th century. 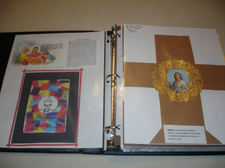 It survives to this day, and we were able to go online and see pictures of pages as well as watch an informative video. The most surprising thing we learned? The Book is made entirely of animal skin - paper was not known at that time. 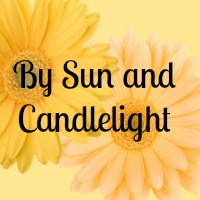 Then there's the interesting fact that the Book was worked on only by daylight; fear of fire prohibited scribes from working by candle or (oil) lamplight. No wonder it took so long! 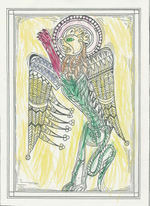 We also chose pages from Color Your Own Book of Kells to work on today. There were many to choose from, but we went with the Lion symbolizing St. Mark for two reasons - 1. I thought the boys would like the lion figure and 2. this Sunday's Gospel is from Mark! After a few clues, the boys caught on and as they colored I read this Sunday's Readings and Gospel aloud from Bookworm's issue of Magnifikid. These will be filed into the history notebooks. We also did math (natch) and we read through the Ranger Rick that came in the mail today. Crackerjack practiced printing, Earlybird colored (trains today) and Bookworm spent a lot of time working on his Mario story. We ate marshmallows and looked at clouds as we talked about this coming Sunday's First Reading (Numbers 11:25-29). 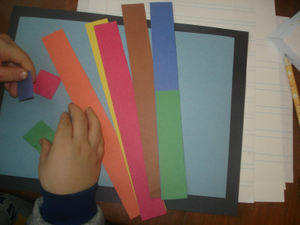 Crackerjack colored the weekly Scripture symbol and we finally began our Celebrating the Gospels banner. I find reading and talking about Sunday's liturgy a few days ahead helps the boys pay better attention and feel more included at Mass. And before I go to bed, I am going to go back and re-read Jennifer's beautiful post at As Cozy as Spring. Because it is perfect. It is just a simply perfect post and I am in perfect agreement - these days are all gifts. Every single one of them. Full or quiet, productive or not so productive - the point is we're here, we're together, and we're learning all the time. The History Notebooks: The older two boys and I will each keep a binder in which we'll store our Middle Ages work. 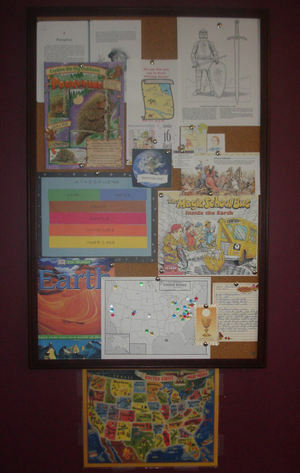 Inside we'll keep a timeline, mapwork, narrations, coloring pages, reports, projects and field trip descriptions. The Outline: Below is the general breakdown of our Middle Ages study as it will unfold this year. Generally, each numbered item (topic) will be covered within a week's time or so. There are 26 topics to cover within the 34 weeks (give or take) we call our "school year" - voila the wiggle room! After each topic I've listed the sub-topics we'll investigate and any books assigned to that week.